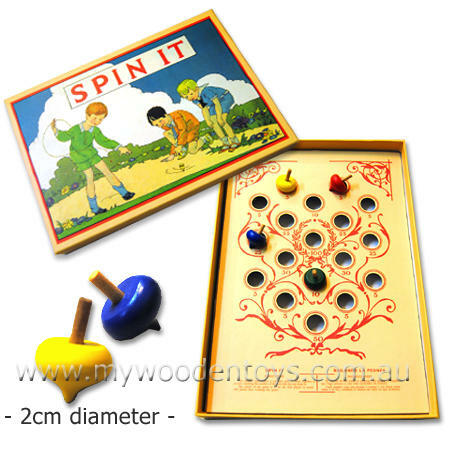 Spin It Retro Board Game is a traditional game in an old fashioned box with pictures of children playing on the front. This game comes with four little wooden spinning tops. The idea is to select a top and spin it either at the same time as other players or one by one. You then see which hole your top ends up in and how many points you won. A well made game in a very nostalgic retro box and lots of fun. Size: Box size 28cm x 19cm x 3cm. Little tops have a 2cm diameter. We like this because: "Very addictive game"